I will be a featured speaker at the third annual You Asked? Good Men Answered! Virtual Summit, convening August 7-11, 2017. The theme is "Behind The Mask: The Role vs The Real." Registration will give you access to details about when I will be speaking and lots more. The summit is free. It's online. All you need is a cell phone or internet access and you can hear my talk. So mark your calendar and register now. EARN UP TO 10 CEUs!!! 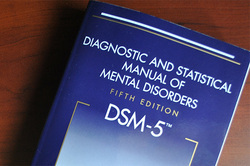 Description: With the Release of the DSM-5, helping professionals need information about changes in the new manual. Dr. Kenneth Carter will provide a comprehensive overview of the DSM-5, including its development process, changes to the organizational structure, major revisions to existing diagnoses, and the existence of new disorders. Understanding the DSM-5 and its relationship to the International Classification of Diseases (ICD) is essential for all mental health practitioners as we assess, diagnose, and treat our clients. The workshop is designed to help you pinpoint the new features of the DSM-5, including new cultural features, and to understand the connection between the DSM and ICD. Apply the DSM-5 diagnostic criteria accurately for the number of disorders. Identify the ethical implications when using the DSM-5 and ICD coding. Note: for a printable copy of the registration form, click here. Cancellation Policy: (1) you may request that your registration be transferred to another individual, or (2) you may use the registration fee for a future training/workshop offered by Merge Counseling and Coaching (MERGE) and the Whittaker Institute for Success and Enrichment (WISE). The request to transfer registration must be submitted by email to merge378@gmail.com. However, the training must be redeemed within 1 year from the date of the initially scheduled event and there will be a processing and cancellation fee deducted which shall be equivalent to 50% of the registration fee of the original event. Requests for cancellation must be received within ten business days prior to the event.